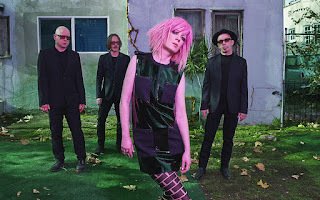 Last month, Garbage finally released their sixth studio album, Strange Little Birds, which frontwoman Shirley Manson has described as being the band's "most romantic" to date, lyrically-wise. "I'm only ever vulnerable when I'm in love, and I never allow myself to be vulnerable. This record is incredibly open, honest and I find that difficult with regards to my own personal love affairs," Manson has stated in an interview. That quote resonates a lot with me. The album combines Garbage's signature grit with dark, moody, and cinematic soundscapes. While not as immediate as the band's previous offerings, it's still a welcome addition to the their excellent catalog. The standout for me is definitely "Magnetized." The band is no stranger to marrying punchy tunes with morose lyrics, and "Magnetized" is a shining example of that. 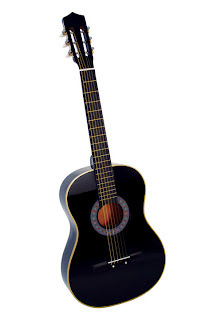 The lyrics describe an ill-fated, possibly unrequited crush. "I'm not in love, I'm not in love," Manson declares in the beginning, her frosty purr laid on top of brooding electronics. Even though she knows she has no future with the object of her affection, she can't help feeling magnetized by him (or her, who knows?). As the chorus storms in, the track soon evolves into a raucous synth-rock giant, showcasing Manson's impressive vocal work. I absolutely love the key change that takes place toward the end of the song to reflect the overall theme of lovelornness, with Manson lamenting, "There's nothing I can do / It's all a fantasy." Ugh, doesn't it make you feel like dying? While you're at it, you should totally check out Strange Little Birds, especially "Blackout" and "Night Drive Loneliness." Enjoy the weekend, everyone! Same, girl, same. If only we could have Mariah's money too. At least we still have Garbage's amazing music to relate to.